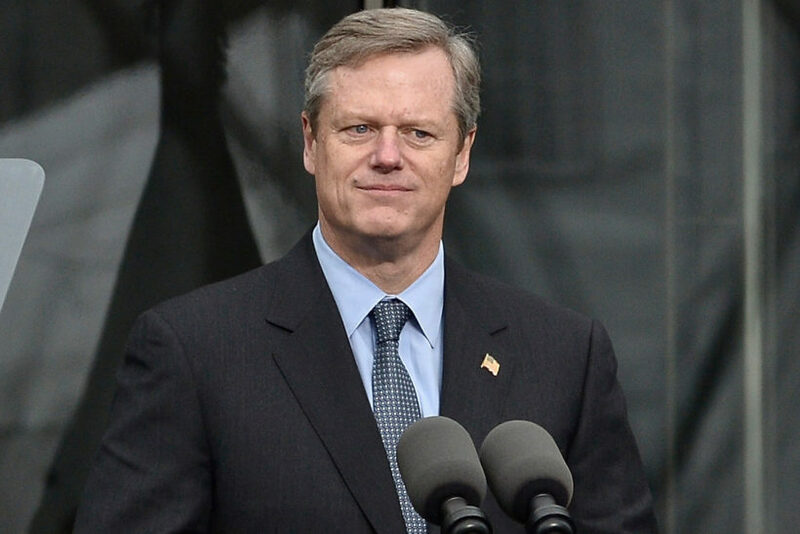 Massachusetts’ Republican Governor Charlie Baker is among the most popular governors in the country. The moment was comical but also insightful, underscoring just how little Washington’s political class knows about who holds the executive power in the Northeast. Here’s the surprising truth: It’s not the Democrats. Last November, while most of the country was either cheering Donald Trump’s presidential win or making an appointment with their therapist about how to cope with the results, New Englanders in four out of the region’s six “blue” [Democrat] states — Vermont, New Hampshire, Massachusetts and Maine — woke up the next morning with four Republican governors. If the reverse had happened, and four Democrats had won governorships in deep red states [Republican] last year, the news would have been treated quite differently, said Brad Todd, a Washington, DC-based GOP strategist. “It would have been on the front pages of every major newspaper in the country. And debated for weeks about how it spells the demise of the Republican Party,” Todd said. Vermont’s Scott won in a landslide, defeating his Democratic opponent by 9 percentage points while facing two political fronts that should have knocked him out of contention: the candidacy of Trump, who was so unpopular in Vermont, he got crushed there by 29 percentage points; and the popularity of Democratic presidential candidate Bernie Sanders, Vermont’s sitting US senator. Interestingly, if you drove through Vermont last year, it was not uncommon to see yard signs for both Scott and Sanders in the same yards. Meanwhile, on a trip to Cambridge, Mass., last month, I couldn’t find anyone who didn’t approve of their Republican Gov. Charlie Baker. From the leafy halls of Harvard to locals grabbing lunch at Charlie’s Kitchen on Eliot Street, everyone I talked to was a Democrat — and everyone gave him high marks as the state’s manager. It’s not just anecdotal. Polling has consistently shown Baker is the most popular governor in the country; the most recent survey done by Morning Consult in July showed that 71 percent of Massachusetts voters are happy with the job he is doing. Meanwhile, Republican Chris Sununu holds New Hampshire’s governor’s office, while Maine has voted for Paul LePage twice to hold their executive’s suite. In the aftermath of the 2016 electoral — but not popular-vote — win of Trump over Hillary Clinton, Democrats have spent endless time bemoaning their inability to capture the Electoral College. They blame it on a so-called antiquated system that gives greater weight to the states populated by more cows than people. But it really is a symptom of a bigger problem for the Democrats: The Republican Party is the only party that is a national party. Republicans, at some level, are competing in every state up and down the ballot, while Democrats are not competing anywhere but on the coasts and in the big cities. In short, they are a regionalized party, confined to the most densely populated parts of the nation — more cut off and compartmentalized than the GOP. But if you read reports by national political reporters, you would assume that progressivism [liberalism] dominates the country’s landscape. “The decision makers, who are close to culture and news, live in places where the Democratic Party’s last bastions are, encased in a bubble that believes everyone thinks like they do and votes like they do,” said the Republican strategist Brad Todd. “Those noncompetitive deep-blue places are the only places they have left where they dominate, but it also happens to be the only places where cultural and media institutions are headquartered,” he added. Seven years after the Republicans won the House and three years after they gained the US Senate majority, the media/entertainment complex still fails to accept or understand that the majority of this country is center-right. Until these institutions grasp this fact, they will continue to see their viewership drop and their trust erode. There is a reason this year’s Trump-bashing Emmy Awards saw viewership figures tank for the second year in a row (11.38 million views — down 5 percent from 2015). You can’t expect to hold onto the middle of the country when you spend four hours mocking the choice many of them made for president. And you can’t expect anyone to trust your sense of judgment and fairness if you treat a GOP winning streak in the Northeast as if it never happened. Published September 30, 2017 at The New York Post. Reprinted here on October 12 for educational purposes only. 1. The purpose of an editorial/commentary is to explain, persuade, warn, criticize, entertain, praise or answer. What do you think is the purpose of Salena Zito’s editorial? Explain your answer. 3. Ms. Zito quotes Brad Todd, a Washington, DC-based GOP strategist who asserts that if the reverse had happened, and four Democrats had won governorships in [Republican states] last year, the news would have been treated quite differently. “It would have been on the front pages of every major newspaper in the country. And debated for weeks about how it spells the demise of the Republican Party,” Todd said. Do you agree with this assertion? Explain your answer.